1. 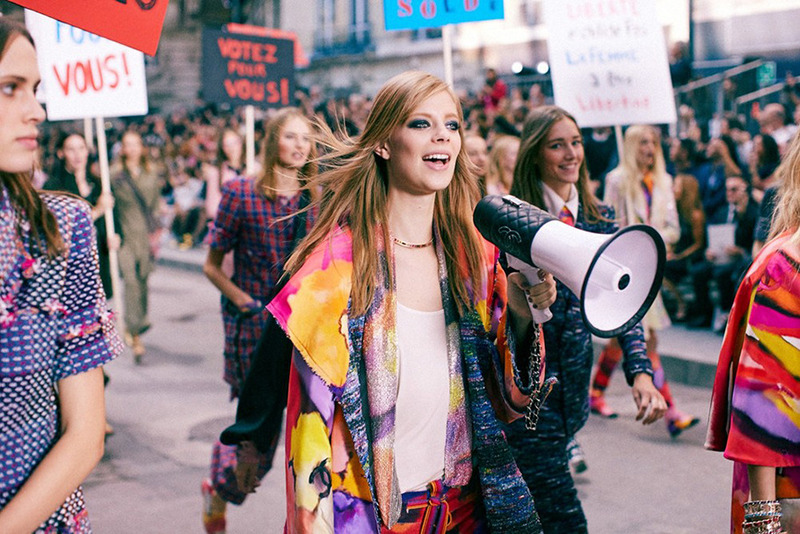 Karl Lagerfeld recreated the May 1968 student protests, though the Chanel SS15 finale did it with a modern, feminist touch. 2. Killer jigsaw patterns and Rorschachs of lace windows were the standouts at Stella McCartney SS15. 3. Oh my god. Soul queen Aretha Franklin has a cover of Adele’s “Rolling In The Deep”. She even remixes it a bit with bits of “Ain’t No Mountain High Enough”. 4. Watch this trailer for Paul Thomas Anderson’s Inherent Vice. Joanna Newsom will also appear in and narrate the upcoming film. 5. Artist and activist Ai Weiwei’s exhibition @Large is currently on display in the former San Francisco Bay prison, Alcatraz Island.